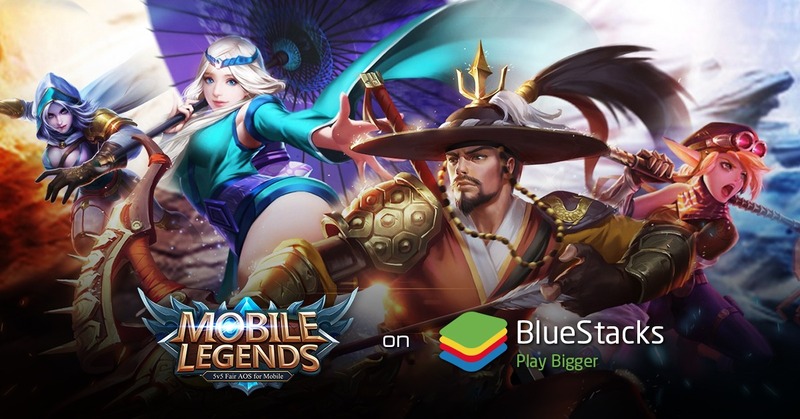 You’re playing Mobile Legends and while on the battlefield you suddenly find yourself surrounded by multiple enemies!!! There’s no doubt that this can happen at any given time. Surely your hero is doomed!! Or at least your opponents like to think so!! So how do you get your hero out of this “certain death” situation? As most would already know or will soon find out, running isn’t the best option. Many heroes can quickly close the distance and you’d be a goner for sure!! Your only other option is to fight your way out. So how do you fight your way out and avoid your heroes’ untimely demise? You vamp your way out. So How Does Vamp Work? On Hit, On Kill and On Skill Completion. It should be obvious as to when each would regen your HP!! Vamp effects are based on a percentage of the damage dealt for On Hit and On Skill Completion. On Kill is based on how much total (not current) HP your targets have. Then On Kill regenerates your heroes’ HP based on a percentage of that. Check out the screen shots below. 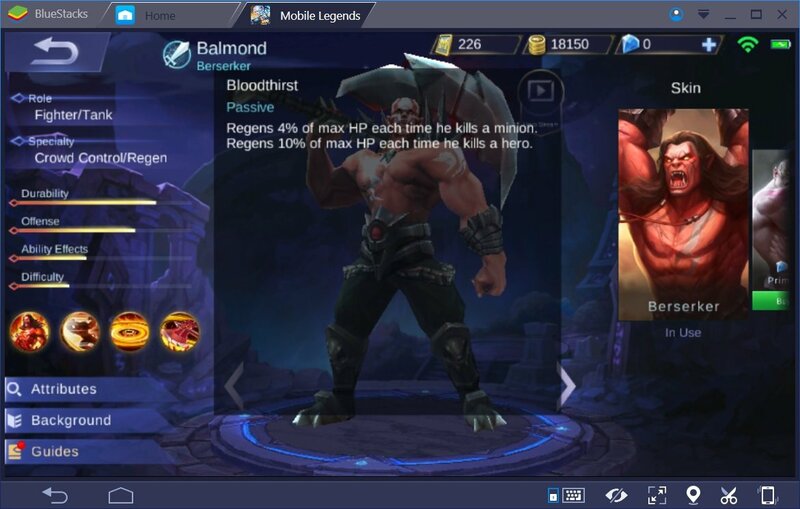 Here we see Balmond’s passive. So each time you kill a minion, 4% of its HP instantly regens Balmond’s HP. But if you’re using Balmond to kill another hero, 10% of that dead heroes’ HP instantly regens Balmond’s HP. So if you manage to kill off a tank type hero for example that should result in an instant and large HP regen. 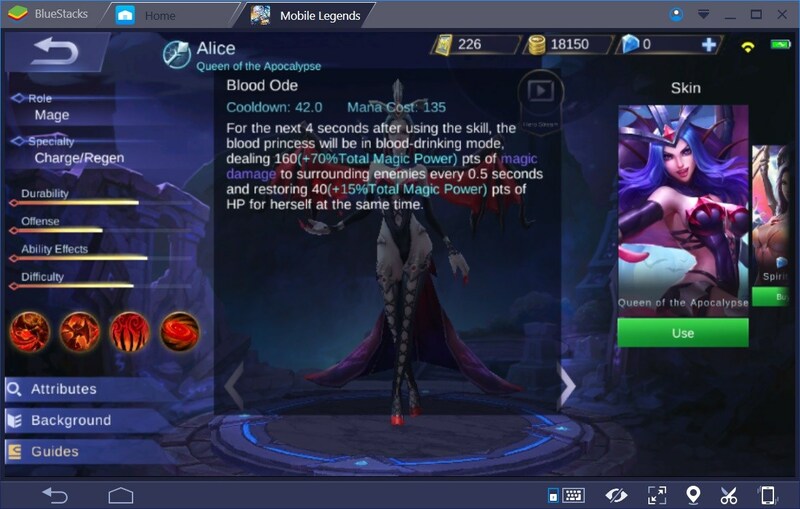 Now we can check out the level 4 skill of Alice in the screen shot below. This is an example of On Hit. It happens to be a very good example because if you check that skill description, you’ll see it says “to surrounding enemies”. If you’re hitting multiple enemies at the same time, you’ll gain more HP regen from that skill. That and the harder you’re hitting those enemies, the more HP regen you’ll receive. 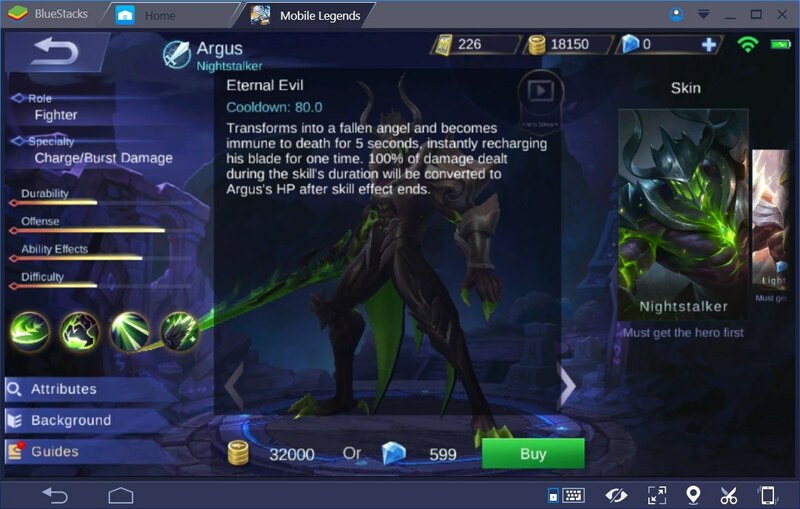 Have a look at the level 4 skill of Argus below. That’s a great example of On Skill Completion. When using On Skill Completion, your main aim is to cause as much damage as possible for the duration of the skill. You don’t have to limit it to a single target as well. In the case of Argus, it’s a good idea to use this skill when close to dying. How About Heroes without a Vamp Effect? That’s where your equipment setups come into play. 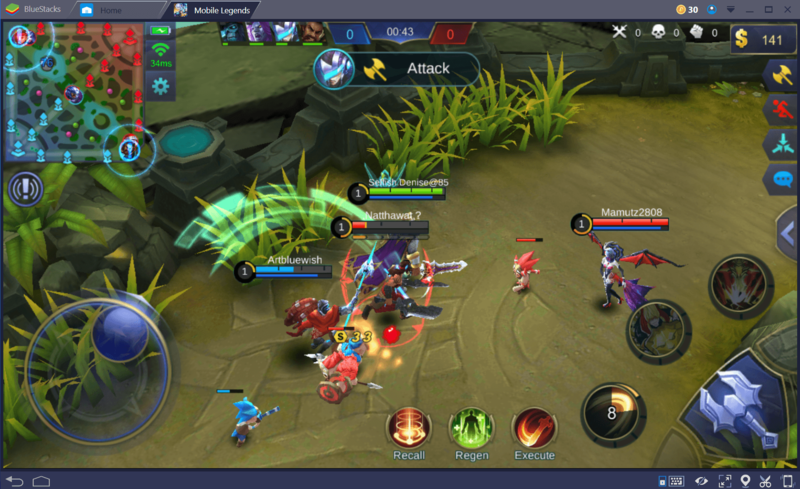 Click the Prep button in the bottom left of the Mobile Legends game screen and click the Gear tab on the left. IF you used the very high recommendation of finding out what your gear does before you started fully playing, you’d have spotted the vamp effects in those items. 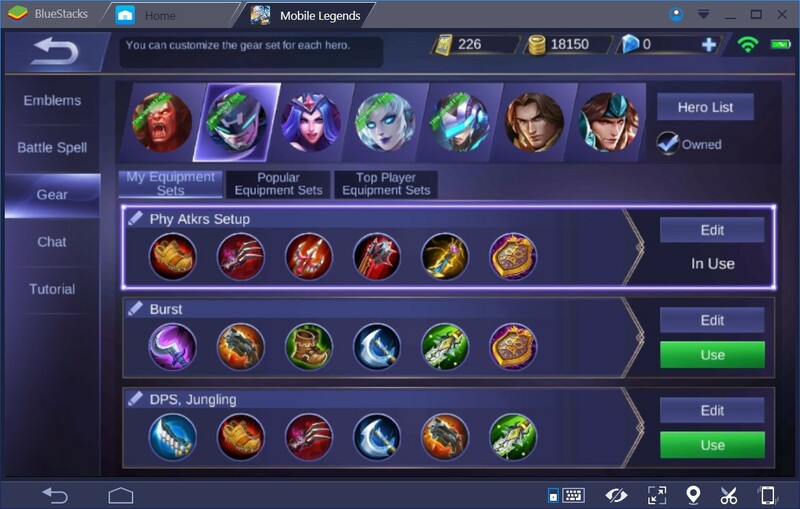 In the above screen shot, you’ll see the gear setup for Alice. But Alice’s skills have vamp effects!! Ok, how about Saber and Miya?!! It won’t take long to find out that both have no vamp effects in their skills!! Since gear is set hero by hero, you’d set it up to provide vamp for your heroes. 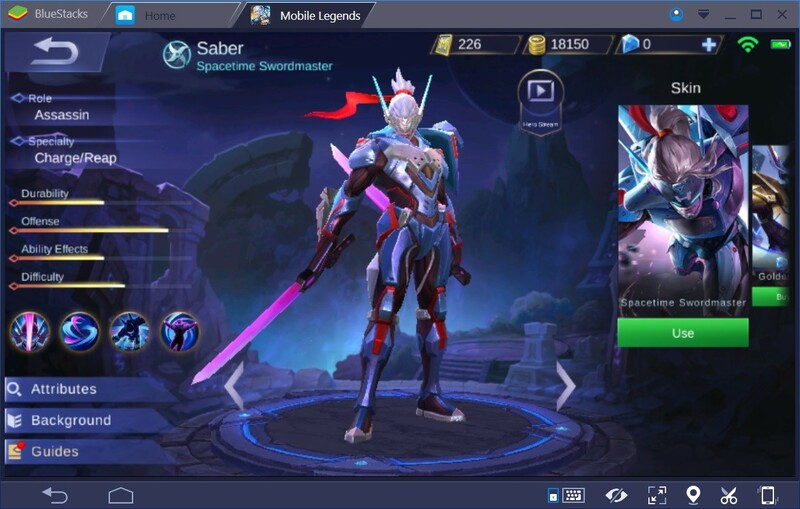 Below is the gear setup for Saber. Notice the 20% Life steal? That means when the Haas’ Claws are complete, Saber will regen HP on each basic attack. Do note that both Saber and Miya are no slouches on the attack speed. It’s Miya that’s faster on the attack. However, you don’t want to leave out attack speed in your item builds. Notice the boots in the screen shot below? Why use those? Along with other items, they’ll also increase the attack speed of the hero. You’ll also notice that at least 1 of the items in the above screen shot reduces skill cool-downs. That’s because some of the items have a skill use vamp effect in them. So the more you can reduce the skill cool downs, the faster you can cast them for more HP regen. That’s true even if there’s no vamp effects in a particular heroes’ skills. 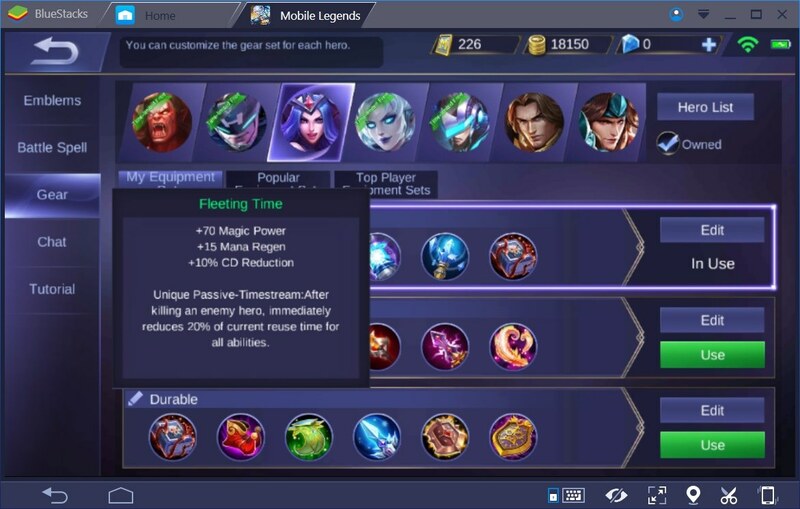 Note the “all abilities” (your skills) in the description of the Fleeting Time in the screen shot below. Now take a look at the difference in the item build between the screen shot below and the screen shot far above showing Alice’s gear setup. A skills cool down works out better compared to an enemy slowdown. That’s one way to do it!! Mobile Legends provides a nice variety of items for gaining vamp. That’s for physical attackers, magical attackers, and for skills. So it was never just a “one way” setup. Ultimately, it’s on you to figure out which setup works best for each hero. Are Magical Attackers Somewhat Left Out? It seems like things are setup so that vamp works better for physical attackers. Notice the above screen shot for Saber’s gear setup that shows the Haas’s Claws. That says “20% Life steal”. That applies to your basic attacks of which all heroes have. It wasn’t based on physical damages alone. What are some other tricks for vamp? Did you ever see Alice taking on 3 opponents while solo and win? As mentioned previously, the more targets your hero is hitting, the more HP you’ll gain from vamp effects. But even 1 on 1 against something, you can still gain a lot of HP back from vamp. Again, Alice’s level 4 skill hits multiple targets. When the item build is mostly put together, things exactly such as this are possible. But then again, it doesn’t stop there!! 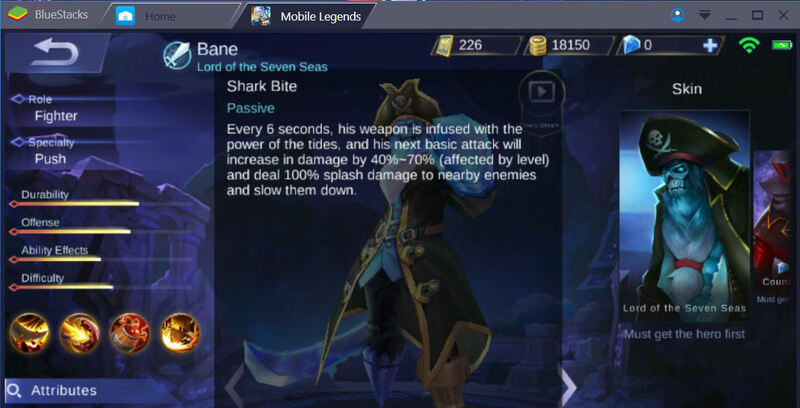 Clearly Bane’s passive doesn’t really do much in the way of vamp since there’s no vamp effect in it!! 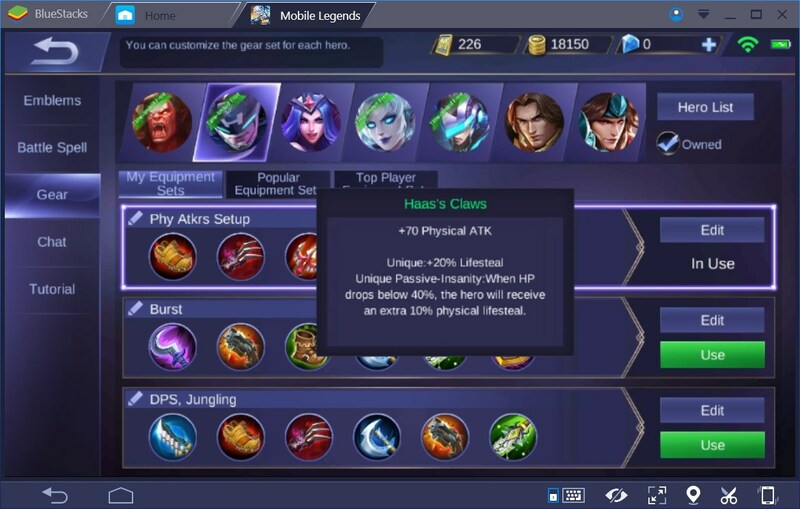 Now picture that passive activating while you have Haas’s Claws and/or other items which provide vamp. With a setup like that, getting surrounded should be your aim!! 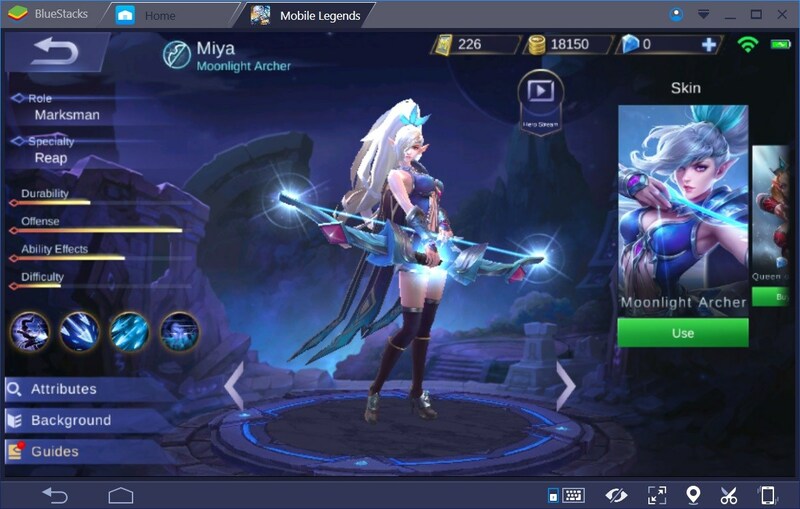 Take the example of Miya. She has no vamp effects in her skills. She can be very fast on the attack. So mixed with vamp effect items, attack speed boost items, and whatever else you can get in there, she’ll be awfully hard to defeat!! Do note that many items already have a damage boost included. You won’t even have to worry about it most of the time. All things considered, it’s a nasty survival/killer tactic that most won’t even see coming. The next thing you know, your mage type hero is tanking with no difficulty (example only of course)!! Anyone can setup a hero to hit a ton. Now make a hero survive that kind of hit, take many more of them, shell out its own, and keep on going without a problem!! That’s the fun part to vamp setups. It becomes very annoying to your opponents because your HP returns faster than anyone can remove it!! Happy vamping!! 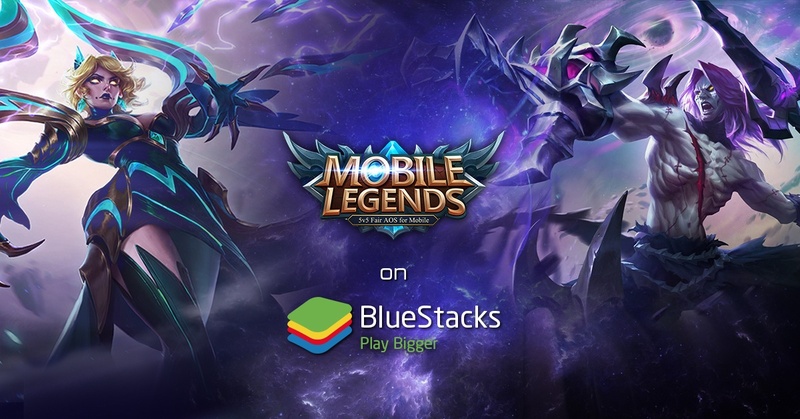 Download Mobile Legends: Bang Bang on Bluestacks Now!